The Episcopal Church of the Transfiguration was founded in 1956 by 11 families as a mission in north Dallas. The church quickly grew, and in 1964 relocated to higher ground after a flood badly damaged the original A-frame church building. Now located at the corner of Hillcrest and Spring Valley roads, we are comprised of nearly 1,800 members oriented around the singular mission of “seeking and serving Christ in all persons.” Over our 60-year history, we’ve grown and changed in pursuit of that mission, with four rectors, over a dozen other clergy, hundreds of faithful leaders, thousands of faithful members, the launch of Parish Episcopal School, the expansion of our campus, and the dedicated pursuit of living into the loving, merciful vision of Jesus Christ. 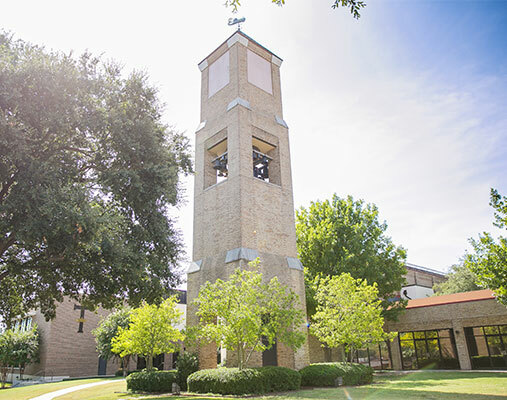 Transfiguration is a constituent member of the Episcopal Diocese of Dallas, which is comprised of over 70 churches and schools around northeast Texas. 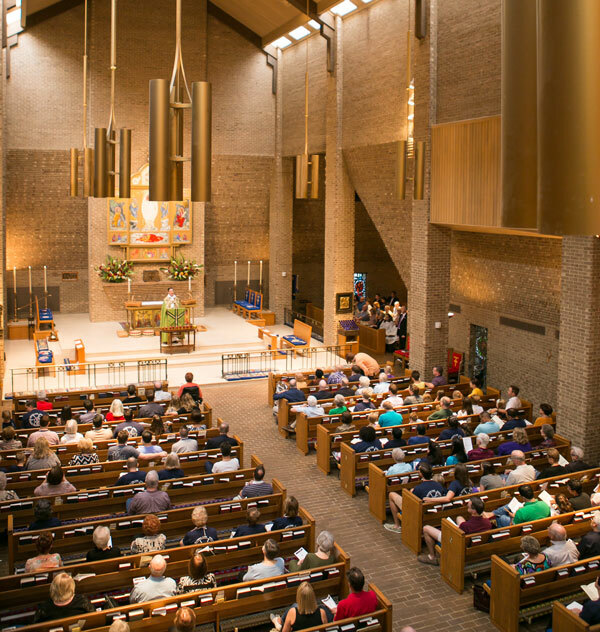 The Diocese of Dallas is a member of The Episcopal Church, which is comprised of around two million members in 110 dioceses and 10 different countries. The Episcopal Church is a part of the global Anglican Communion, which is comprised of roughly 85 million members in 38 autonomous churches (e.g. Anglican Church of Canada, Anglican Church of Australia, Anglican Church of the West Indies) that maintain a relationship with the Church of England. This expanding circle of relationship is a source of strength and unity, and helps us remain deeply connected with faithful Christians around our city, country, and world. We are celebrating 60 Years. Check out The History of Transfiguration. We place a high value on beauty at Transfiguration. Beauty draws our hearts and imaginations to the grandeur and beauty of God, and we are blessed by the presence of many objects of tremendous sacred beauty. Our altar and triptych, created by Charlotte and Bill Hallet in the 1980s, are the devotional center of our life as a church. Featuring the Transfiguration of Christ and his Passion and Resurrection, these pieces are in the Byzantine-iconographic style, which means they are windows into the divine scenes they visually represent. The altar, in particular, is more than sacred art or an object of visual devotion, it is the heart of our life as a church, for it is where our principle act of thanksgiving and sacrifice occurs many times a week. Other sacred art objects include a bronze Holy Water Font located at the entrance to our church, a bronze relief of the Holy Family, a 17th century Russian icon of the Virgin and Jesus, and a bronze sculpted-cover for our baptismal font featuring Jesus’ own baptism at the Jordan. We are blessed with over a dozen buildings on our campus, housing not only our church and offices, but also classrooms, meeting rooms, a library, a large hall, a childcare center, and an expansive music wing. Notably, we share space with Parish Episcopal School, which conducts Pre-K through Grade 2 alongside us on our campus. Parish was founded in the late 1960s as Parish Day School, and grew so significantly that in the early 2000s they acquired an additional campus on Midway Road, home to grades 3-12. 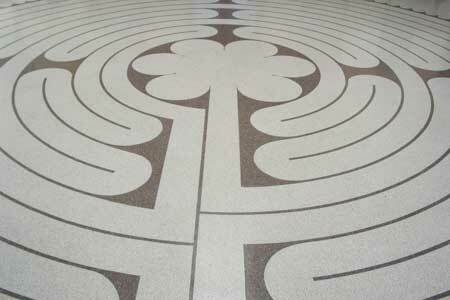 Among all the features of our buildings, of particular note is our Labyrinth, which when created in 1997 was the first indoor labyrinth in North America. Many people walk this sacred path each week, and we host retreats, guided walks, and worship services around it. Learn more about the Labyrinth by reading the cover article from the Winter 2015 issue of Illumine. Our campus stretches over several acres, and includes several gardens, a large playground, glorious old live oak trees, and plenty of greenspace. Towering over our grounds stands our belltower filled with 16 bells. These bells ring out many times a day, playing hymns and other tunes that fill the atmosphere with beautiful music.